Friends, welcome to the Conservative Friend. This site is under the care of Stillwater Monthly Meeting of Ohio Yearly Meeting of Friends, and is intended to help spread the message that Christ has come to teach His people Himself. Through this labor we hope to welcome seekers, finders, and returning strayed sheep to the worship of God in Spirit and in Truth, as maintained by the Conservative Friends of Ohio Yearly Meeting since our organization in 1813. This website is an outreach organ, intended to supply information and encouragement not elsewhere available. 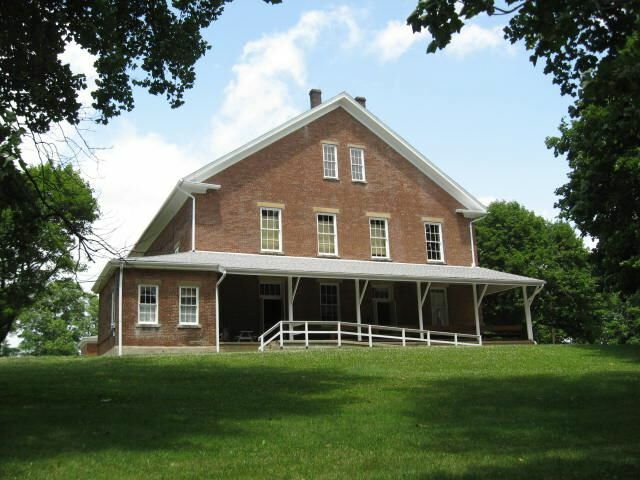 For other Yearly Meeting materials, please visit our Yearly Meeting website at http://www.ohioyearlymeeting.org/index.htm/. It is important to remember that the message we carry is not that of just another peculiar and eccentric denomination or sect. What we have is a timeless message for all people, everywhere, and we invite you to come and learn more about it. Parts of this message have been spoken from pulpits, temple steps, open fields, and primitive altars for as long as human beings have tried to achieve communion with God. The Religious Society of Friends has tried to put the pieces together into the coherent whole that most clearly and cleanly leads to the relationship with God that He intended for all people. But don't take our word for it. Wait upon the Lord yourself, and see what He tells you. We have tried to help you in that task by presenting you with the contents of this website. And as long as you're here, please take a moment to look around. The strength of Conservative Quaker faith and practice lies in unity, not in uniformity, and much of the content we have posted here is difficult to find or unavailable anywhere else. Leave a comment in Our Guestbook or email us from our Contact Us page. Thanks for visiting. We, the planning committee for Quaker Spring 2018, hope this letter finds you well. We are writing to let you know about our upcoming gathering next summer. This year's gathering will take place from Monday, June 25th through Saturday, June 30th 2018 in Barnesville, Ohio at the Olney Friends School. Mark your calendars! We will send out another email when registration opens in the spring. We know how busy Friends’ calendars can get, so we hope you are able to join us for all or part of our gathering. We will be in touch again soon to share more about our community and upcoming happenings.